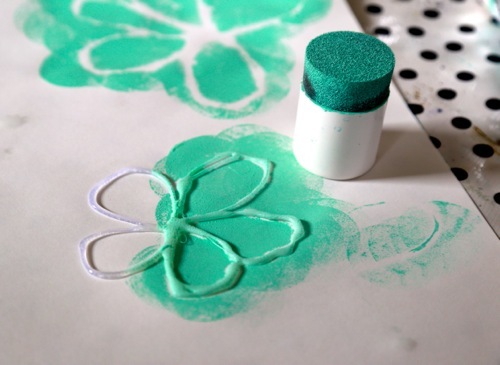 Stencils are a favorite among crafters and painters alike, but, finding a readymade stencil for all occasions can be difficult (and expensive). You can cut your own out of cardboard, but why bother when you can make resist stencils using a product found in any craft store: Quick Dry Tacky Glue. Want to learn more? Come on - let's go! Note, it is important that you use parchment paper found in the baking section of your grocery store. 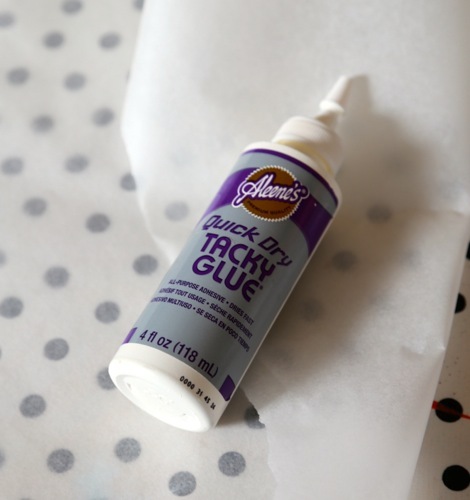 This paper comes in a roll (like foil) and is coated with silicone (this is what will prevent the glue from sticking). 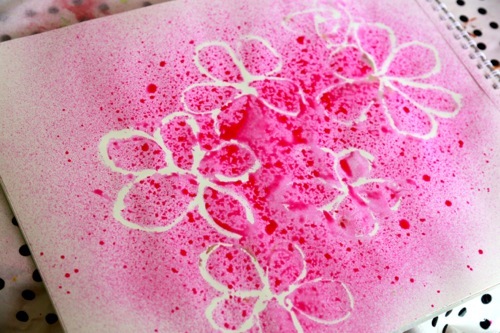 Draw simple shapes on the parchment and allow them to dry overnight. Note, try to keep your lines thick and smooth. The glue needs to dry 'into itself' and if the lines are too thin, it won't work. 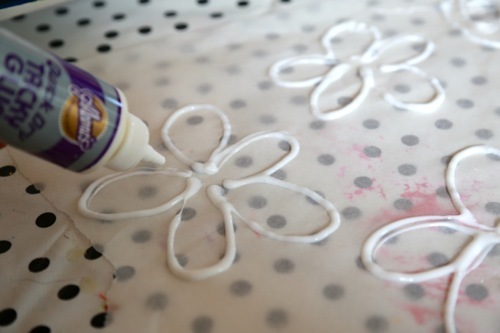 If you have trouble, retrace the shapes with a second round of glue and allow to dry again. After the shapes are 100% dry, peel them off the parchment paper, place on dry paper (or fabric) and use them as a regular stencil. Not crazy about the sponge paint look? 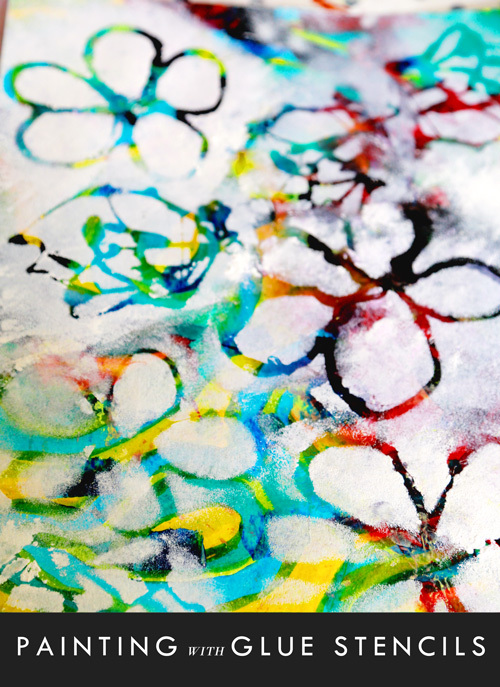 Mix paint and water in a spray bottle and go to town. 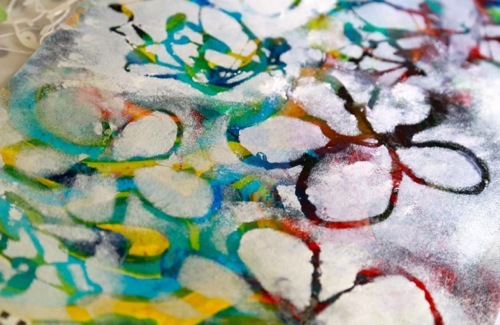 Absorbent paper will help keep the design clean. 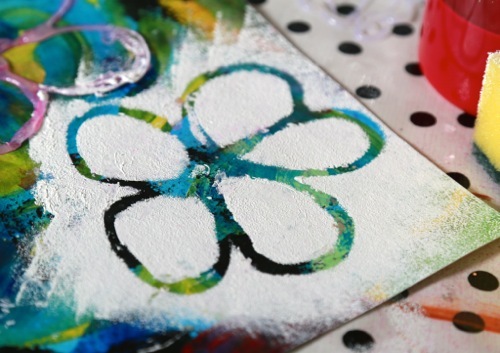 Or, better yet, use your stencils on top of existing art work. By layering your designs over colors and patterns you will get a new and exciting design every time! Designer Saree is perhaps the desire of every single girl in this world to look amazing on her wedding day.